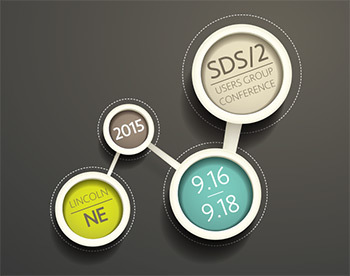 STRUMIS LLC is delighted once again to be a sponsor at this year’s annual SDS/2 Users Group Conference in Lincoln, Nebraska, from September 16th -18th, 2015. STRUMIS LLC is delighted once again to be a sponsor at this year’s annual SDS/2 Users Group Conference in Lincoln, Nebraska, from September 16th -18th, 2015. This conference allows partner companies to have the opportunity to host presentations and STRUMIS LLC are looking forward to showcasing work with SDS/2 for efficient BIM integration. During the 3 days at the UGC, there will be several partner presentations, training on very specific topics determined by the Users Group, new enhancements, award presentations and a Design Data Reception and Dinner on Wednesday night. On Thursday, the 17th, STRUMIS LLC will give a presentation on the bi-directional link of STRUMIS with SDS/2, model-based estimating and an overview of our BIM integration during the Partner Pavilion session. The presentation will cover how workflow efficiency can be achieved via STRUMIS’ BIM integration. STRUMIS integration with BIM systems delivers maximum advantages to the user, as well as other benefits such as time and cost savings, greater accuracy, traceability, efficiency and superior return on investment. Description: STRUMIS LLC will give a presentation on bi-directional link of STRUMIS with SDS/2, model-based estimating and an overview of our BIM integration.